What you should be doing when you see your loved ones fighting the Cancer Monster. Cancer. The word alone gives me shivers. The disease is bound to create fear in everyone, but have you wondered, Why do we fear it? Is it because of the complications we have to undergo for it to cure or is it because of the time we spend? This world has created an image of the disease to be deadly. Yes, it is. But not always. There are people who overcome it, get cured and get back to their normal lives trying to forget it happened. But then, the world labels them as ‘Cancer Survivors’. I think it is stupid. Don’t ever call anybody that. When they are labeled as such, they live in constant fear of whether it may turn up again. Fear of the disease is the enemy. This fear is why Cancer scares people. Even though it may never turn up again, no one believes it. Will this fear help you when it comes the second time? No, it won’t. Tip 1: Never let them Google. Learning isn’t dangerous but little knowledge is a dangerous thing, isn’t it? Just believe in your doctor. Go for second or third consultations if you don’t. Not everyone is going to make a fool out of you. Most of the doctors explain the condition of the patient in excruciating detail. Just because the first tip was No Googling doesn’t mean that they shouldn’t know about their health status. It is in the human nature to think of the worst possible conditions. When you don’t tell them the truth, it is most likely that they will be imagining something even worse. I know this is a hard pill to swallow. But go ahead, explain calmly and be with them. Tip 3: Mood Swings, Yes! Cancer usually requires a Chemotherapy after the surgery. The hair fall is saddening and the process is a bit too. But if you have the best people, you can easily go through the Chemo cycles. The mood swings are true and they happen. A slight bit of noise could create trouble for them. Handle their mood swings. After all, you love them. This I learned the hard way. We may have the emotional pain, but they experience it physically. No matter what, bear with it. It gets better when it is over. Tip 4: Lifestyle Changes are mandatory. Often, Cancer becomes a reality check. It is when a person takes into account what they eat, the time they eat and the quantity. This is a good by product of the disease. The lifestyle changes. The part you have to do is, to adapt to it. The major problem the person fears is that the people around them may also face Cancer sooner or later. Even though it is a genetic disease and the possibilities are scarce, we should also change our lifestyle, at least to address their concern for us. Tip 5: Tell them it isn’t their fault. 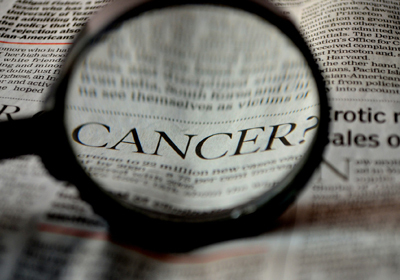 Cancer is associated with smoking and other bad habits. But, most people neither have such habits or early indications. For some, cancer comes out of the blue. It is like one day everything is sunshine and the next week you are undergoing surgery. This is the worst thing about it. Cancer gives a pause on your daily routine. Just tell them that it is an indication that they need a break and should focus on their health more. You should assure them that it isn’t their fault. It isn’t anyone’s. Unlucky time. Once the disease strikes, we go down the memory lane and associate everything with cancer. No ,this isn’t because of you. And now the only thing we can do is calm down, sit back and cure it. There are so many people who get through the hard phase and be normal soon. It is all in the perspective. Share them the positive stories of people and encourage them to get back on their legs. I wrote this article to help those who see their loved ones struggle. When cancer strikes a family member, it affects the whole family. I know seeing your loved ones in pain is painful too. But there are people and you can help. Hope you handle this hard phase, come out of it and be back to normal soon!